As one of the most rumored and anticipated devices of the year, the HTC M7 is expected to make its formal debut on February 19 at a joint press event in New York and London. The HTC M7 has been the source of many Android rumors over the last couple of months and looks to be HTC’s flagship device of (the first half) of 2013. Details have been leaking since late 2012 and suggest the phone will be a modest step up from last year’s HTC One X and One X+. We took the opportunity to gather up some of the juiciest and most likely rumors and put them in one place. What you’ll find below is a growing list of things we expect or feel strongly about as it pertains to the HTC M7. If you see something that doesn’t look right or something we may have missed, let us know! We will update this post as we learn more about the Samsung smartphone. Once thought to be a 5-inch experience, the M7 will instead feature a 4.7-inch screen with the same 1080p HD resolution. With a very high pixel density (468ppi) , the image should be among the sharpest and clearest on the market. Most sources we’ve checked with seem to confirm the same CPU for the HTC M7 in that it will boast a Qualcomm APQ8064 quad-core processor. At 1.7GHz per core, the phone should pick up right where the HTC One+ leaves off. Keeping pace with other top Android devices of late 2012 and early 2013, we expect the HTC M7 will come with 2GB and 32GB internal storage. 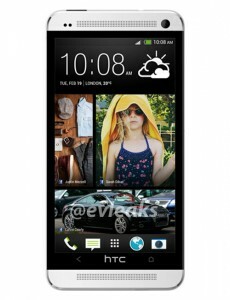 Early rumors suggested that the HTC M7 would feature a 13.1-megapixel camera however new details indicate otherwise. Reportedly, the phone will feature three “ultrapixel” sensors of 4.3-megapixels each which are then combined to create one killer image. Additional details are said to include an f/2.0 lens and support for enhanced image quality, super slow-motion, and HDR video capture. Around front, the HTC M7 should offer a 2-megapixel camera capable of 1080p video. We’re hoping to get the same wider angle stuff that comes with the Droid DNA. HTC recently posted an infographic on the company blog which teased a new sound and camera experience. The most likely rumors we’ve seen thus far suggest the M7 will emply a stereo speakerphone. We expect HTC to release a very modern version of Android but aren’t certain it will be 4.2 flavor. Chances are good this will launch with 4.1+ with a software update in the near future. 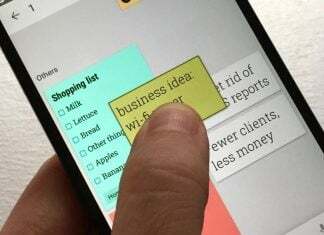 HTC looks to keep pushing forward with the custom user experience however early screenshots show a more simple design. We’re hoping to see less of the old “look and feel” that made Sense so different from stock Android and more of an Android 4.X aesthetic. Building on the predecessor HTC One X+, the M7 is rumored to come with a 2300mAh battery. Yes, most likely this means internal and non-removable. Like previous flagship models from HTC, we expect to see NFC, WiFi (802.11 a/b/g/n), Bluetooth 4.0, DLNA, microUSB, MHL/HDMI, and 3.5 mm stereo audio jack. As is the case with nearly every device that gets rumored, the HTC M7 will get a name change. All signs point to the HTC One, however we’re not big fans. Too close to last year’s models if you ask us. However, we do appreciate that they may have shelved the suffix. Leave those letters on the cutting room floor and stick with one word. Given that HTC has sent out invitations to a dual (New York and London) press event, it is very probable that the M7 will be the big announcement. We may get other products or accessories in the mix but the bulk of the focus will be on the new flagship device. According to last minute details, the 32GB HTC One will be offered at $199.99 with two-year service agreements. A 64GB model will also be sold, fetching $299.99 with a contract. As one of the newer rumors to surface, we’ve come to trust the source. Reportedly, the HTC M7 will be available on March 8, though chances are good that this is for the international version. We could expect that the U.S. carriers will make formal announcements of “spring availability” or “coming weeks” as soon as the phone becomes official. The U.S. debut is allegedly set for March 22, according to last minute details. The HTC M7 could be the first major Android device from HTC to see wide release across the major U.S. carriers. AT&T, Sprint, and T-Mobile seem to be locked in with Verizon rumored to carry the phone as a variation of the Droid DNA.